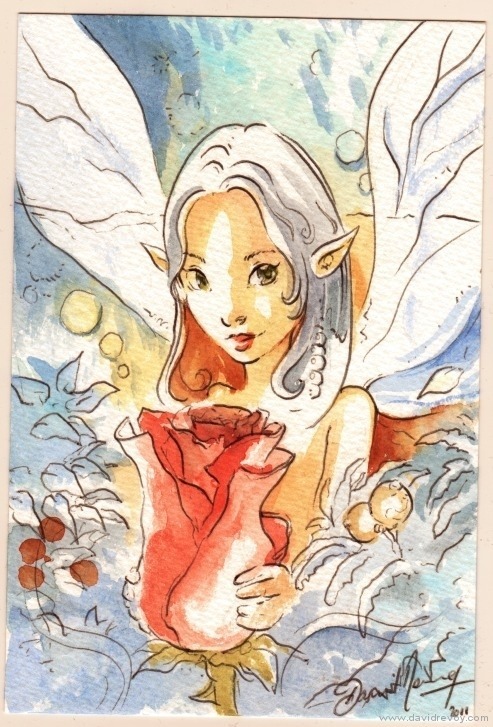 Here is a postcard I made as a donation for the Rock trust association, I drawed/painted it traditionally with Bic pen and watercolor on a 10x15cm strong watercolor paper. You can see the original actually within many other postcards in an exhibition in Edinburgh. The purpose of the event is to raise funds for the work that Rock Trust do - supporting some of Edinburgh and the Lothians most vulnerable young people. All the postcards will be sold off during the exhibition by means of a blind auction process. If you are interested in purchasing one, you can either do so by popping along to the exhibition or do it online. http://therocktrust-postcardart.org/index.html Also have a sight to the online gallery ( on the second tab menu of the previous link ) to see other artist submission . As you can imagine, it all looks much better in person than online. Good opportunity if you want to buy original piece of artist, and do a good action at the same time. Thank you for your reply. The post card you have painted is excellent. The combination of colors & the theme of painting is superb. The angel you painted hiding it self behind a rose flower is very attractive to me. I really appreciate your painting you made for Rock Trust Association. I would give Thumbs Up to you.